Boasting a rich and varied history, Catalunya was the first Iberian region to become Roman. It was during the Middle Ages that it developed its own identifiable culture and it remains rich in mediaeval villages to this day. Highlights include the fortified town of Peratallada, where many of the old stone buildings are carved from stone taken from the moat encircling the town - this gives the town its name meaning 'carved stone'. Other highlights include Begur, with its C11 castle perched on the hilltop and the cobbled streets of Pals overlooking Platja de Pals. 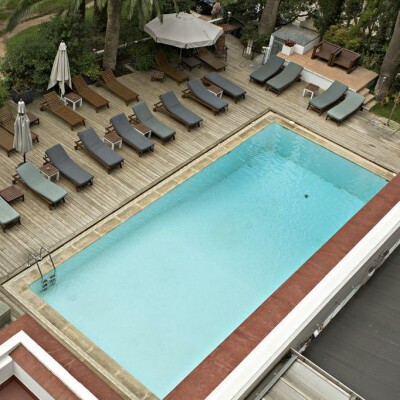 You'll stay in a variety of charming and characterful hotels, all with pools. 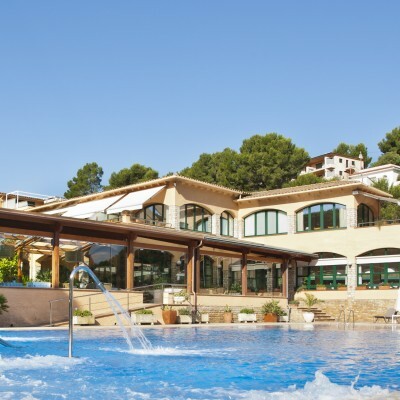 The family-run Hotel Garbi overlooks the fishing village of Calella de Palafrugell and the elegant Sa Punta is just five minutes' walk from a large sandy beach. Inland you relax in a magnificently restored C14 castle with breathtaking views from the terrace before returning to the coast, with views over the bay, at bustling Palamos. Arrive at the Hotel Garbi where you'll enjoy a sea view room with private balcony. With such a rich variety of restaurants on offer, just 5 minutes' walk away in the centre of town, you're free to explore the local cuisine for yourself this evening. Today's ride takes you through the pine forest behind Calella, before leading on to the mediaeval village of Pals with its C11-C13 Romanesque tower and stunning views. After lunch, meander through the pretty hamlets of Palau-Sator (where there has been a settlement since Roman times) and Fontanilles, before looping back to the coast and finishing with a gentle downhill ride to Platja de Pals. We strongly recommend a visit to mediaeval Begur today, a fashionable hilltop town with C11 castle and outstanding views out over the coast. 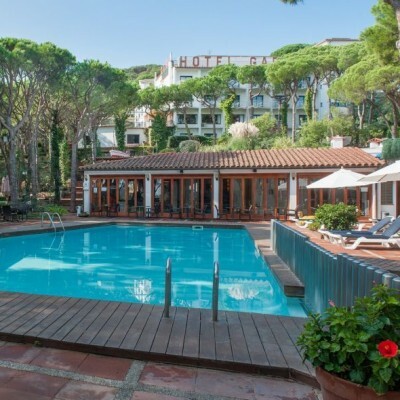 Alternatively follow the superb coastal walking path, stretch out on the fine golden sand of the beach, or simply unwind by the hotel's semi- Olympic pool. 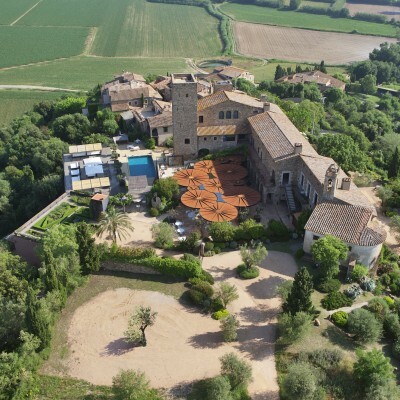 Your day begins with a ride past rice fields to join the River Ter, before following the river to Torroella de Montgri with its wonderful views of the Illes Medes and distinctly mediaeval features; think narrow streets, colonnaded square, baronial mansions and a rather impressive C14 Gothic church. Leave here and head inland along quiet roads to the village of Gualta with its picturesque C16 bridge and the pretty hamlets of Fonolleres, Matajudaica and Casavells. Finally, ride on to La Bisbal, where you'll stay in a unique C14 castle, once reputed to have been on Dali's shopping list. Laze by the pool and enjoy the fabulous sun terrace with its superb bar area or follow our suggested cycling circuit which links the beautiful mediaeval villages of Corca, Monells (with a charming square and lovely choices for lunch), and La Bisbal, a lively market town famous for antiques and pottery. Here you can take time to explore the town's historic centre which includes the C11 Episcopal palace and the once-thriving Jewish quarter. This is a lovely gentle ride that stops first at the walled village of Ullastret. The vast archaeological site here contains the remains of one of the oldest Iberian villages in Spain. Move on via beautifully preserved Peratallada to the bustling market town of Palafrugell, a great spot for lunch. 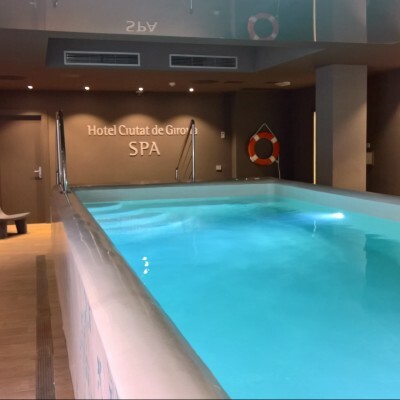 It's then a gentle 5km ride to the seaside town of Palamos, where you'll spend the next two nights in our *** sea-facing hotel with its lovely pool. Once a C12 fishing village, Palamos is now a bustling family seaside resort centred around its colourful port, and has one of the best beaches on the Costa Brava. Here you can walk or cycle to Sant Antoni, explore the warren of mediaeval streets, or simply relax in the sun by the pool or down on the beach. Your route today is filled with things to see and do. Firstly, you'll follow the coast along to the lovely bay at La Fosca, before moving on to the sheltered half-moon cove of Platja de Castell, crowned by the atmospheric ruins of an ancient settlement. Then head inland through the farming hamlets and rice fields of Santa Margarida and Ermedas, before ascending gently to the Sant Sebastia lighthouse with its fabulous views and restaurant for lunch. A final downhill stretch via Llafranc will then carry you back to Calella de Palafrugell. 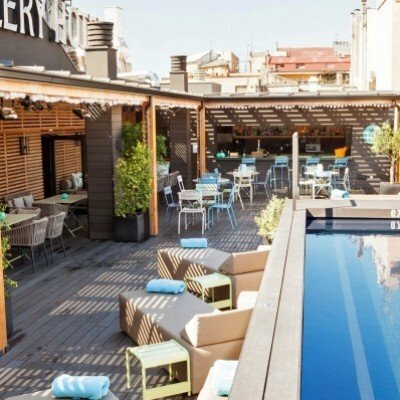 Located on the seafront with stunning views over the bay of Palamos and just a few minutes' walk from the town centre, the Hotel Trias dates from 1900 but has been renovated into a stylish and modern hotel. It is also within easy walking distance of both the beach and the harbour. The modern en suite rooms feature free WiFi, safety deposit boxes and air conditioning. Upgraded pool view or sea view rooms are available on request. Wonderful, quiet cycle routes through stunning countryside and coastal villages. Catalonians were extremely friendly and welcoming and the whole area was clean and well maintained. Every two days from 23rd Apr 2019 to 26th Oct 2019, for 8 nights. All dates are subject to availability, please contact us to check. No departures between August 5 & August 23 inclusive. Due to the tailor-made nature of our holidays, we need a little more information in order for us to check availability for Catalan Coastal Cycling. Simply complete the form below and a member of our sales team will contact you (when it's most convenient for you) to provide availability information, travel options and an accurate price. Of course there's no obligation, but if you do wish to proceed with a booking they will be on-hand to assist you throughout the process.